The Canaan Dog is a medium-size, robustly made, spitz-type dog. They have been indigenous to the region encompassed by modern Israel for centuries. Canaan Dogs are reserved with strangers but makes a good companion dog that is loyal and affectionate to their family. Soft and eager to please, they also need to know the rules of the house or they can become manipulative. Canaan Dogs have been used as a guide dog for the blind and as a search and rescue dog. They are known to be aloof of people and animals that they don't know, and are known to run away when a large change affects them, such as a new house or new person. This is how they coped when they were feral dogs in Israel. But such characteristics can be overcome with training, as these are highly intelligent and trainable dogs. They are known for their service as messenger and sentry dogs, and were once trained to detect mines. They can be barky, which makes them excellent watch dogs. Their endurance, reactability, and agility make them a popular breed in Israel. Canaan Dogs are intelligent, resourceful, and easily trained. They can survive on their own, and sometimes try to when situations at home change. If they are confronted with a big change such as a different house or different people, they tend to bolt. They do not adapt well to new situations, and a fence is necessary. They are very obedient, alert and vigilant. They are wary of strangers, including children and animals, but devoted to their families and friends. They are protective and are not afraid of a fight. They are said to be a joy to watch as they play. They bark and will guard their humans as long as necessary. A Canaan Dog needs regular, but minimal bathing, brushing and combing. Keep nails trimmed, ears cleaned and whiskers trimmed. 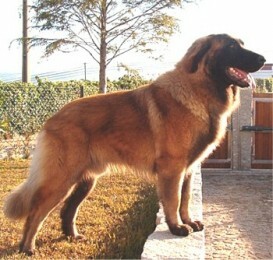 Naturally healthy breed, there are no known particular health issues to this breed. Regular vigorous daily exercise on a lead is required. Canaan dogs are very active and need somewhat of a job to do. They will not be content with lazing around the house. Although there are benefits from early socialization with people and animals as young puppies, they still retain an instinctive wildness and defensiveness.